CBS news correspondent Bob Simon has died in a car crash on New York City’s West Side Highway. He was 73. Simon’s career spanned five decades, from covering the war in Vietnam to a segment on “60 Minutes” this past weekend on the Academy Award-nominated film “Selma.” He has won 24 Emmy awards, including nine for his on-air journalism. As one of the premier journalists working in international conflict zones, his sudden death on the streets of New York came as a shock. 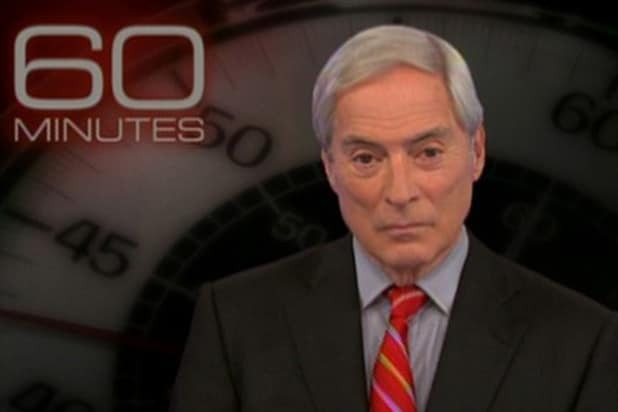 Bob Simon, the most honored journalist in international reporting, has been contributing regularly to “60 Minutes” since 1996. He was also a correspondent for all seven seasons of “”60 Minutes” II,” from January 1999 to June 2005, after which he became a full-time “60 Minutes” correspondent. The 2011-’12 season is his 16th on the broadcast. Simon’s revealing interview with the rescued Chilean miners shed new light on their 69-day ordeal a half mile underground; his reporting in Tunisia brought “60 Minutes” viewers to the source of the “Arab Spring” uprising affecting so many Middle Eastern countries in 2011. Simon’s extensive foreign coverage has earned him scores of major awards. His news magazine work has won him nine of his 24 Emmy awards, the latest five for “The King of Sushi”(2008), on the over fishing of bluefin tuna; “Curveball”(2007) the investigation of the Iraqi defector who provided the faulty testimony that eventually led America to war; “The Oil Sands” (2006), about extracting petroleum from Canada’s sand pits; “The Sea Gypsies” (2005), a report on the island-dwelling Moken peoples of Southeast Asia; and “Aftershock” (2005), about paramedics saving lives after an earthquake in Pakistan. Other winners broadcast on the Sunday edition are his profile of Italian actor-director Roberto Benigni (1999) and “Dirty War” (2000), a report about the Argentine government’s murderous campaign against dissidents. In addition to Vietnam, the Persian Gulf, Sarajevo and Tiananmen Square, Simon has reported from the frontlines on the American interventions in Grenada, Somalia and Haiti, the revolutions in Portugal and Prague, the civil wars in Central America, the Turkish invasion of Cyprus, the conflict in Northern Ireland and the war between Britain and Argentina over the Falklands. Simon was with Israeli troops during the Yom Kippur War, with PLO fighters during the Israeli invasion of Lebanon and in Gaza the day the Intifada began. Simon joined CBS News in 1967 as a reporter and assignment editor based in New York. He covered campus unrest and inner-city riots, as well as the Democratic and Republican National Conventions. Simon served as an American Foreign Service officer (1964-1967). He was a Fulbright scholar in France and a Woodrow Wilson scholar. He was born on May 29, 1941, in the Bronx, New York, and was graduated Phi Beta Kappa from Brandeis University in 1962 with a degree in history. He and his wife, Françoise, have a daughter, Tanya, who is a producer for CBS News’ “60 Minutes” in New York.